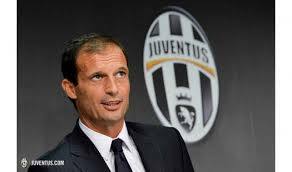 Massimiliano Allegri signs new deal to keep him at Juventus until 2020 – Royal Times of Nigeria. Juventus boss Massimiliano Allegri has signed a new contract with the champions of Italy until 2020. The forty-nine-year old has steered Juve to three successive Serie A titles, two Champions League finals and three Coppa Italia triumphs since replacing Antonio Conte in July 2014.